A few days ago I found an ancient volume by the brilliant and revered American author William Faulkner (1897-1962), who was a novelist, playwright, short story writer, essayist, and poet, and is considered by many to be among the greatest writers of all time. The book was a collection of stories, called Go Down, Moses. This was the first Faulkner I’d ever read. The story I’m going to discuss briefly right now, “The Fire and the Hearth”, was the second in a related chain of seven stories chronicling patches of the sprawling history of the enormous McCaslin family, comprising a lineage far more detailed than I’d ever be able to create for a long novel, let alone a collection of short fiction. The story concerns Lucas Beauchamp, an old free black man on the plantation of Roth Edmonds, who is descended from the grand old godlike Lucas Carothers McCaslin Edmonds, from whom Lucas is also descended, though no one acknowledges it because he is black. After rifling around in the woods one night, Lucas discovers a gold coin, and assumes it to be the treasure buried by his McCaslin forebears. He purchases a metal detector (per Faulkner, a “divining machine”) and attempts to find it. The gold is so important to Lucas because if he finds it he believes it will cement his status as a true McCaslin descendant, for his blood is stronger than that of Roth Edmonds, who inherited the blood through his mother. This marriage falls apart and his wife, the ancient Molly (whose symbol is the hearth, the staple and cornerstone of the home, alight always even when Lucas is on an obsessive quest for the gold, steadfast), asks for a divorce. Through flashbacks, the whole history of Roth, who was raised by Molly at the same breast as Lucas’s own children) and his father Zachary Edmonds, who was raised alongside Lucas. The story ends with Lucas having a change of heart and going back to his wife, relighting the fire in his hearth, and realizing that finding the gold would not fulfill his desire for blood recognition, but that he should let go of the past and attend to what is present in the moment, what is naturally before him, and give back to the hearth that’d nurtured him for so long. I was so elated upon reading this story in part because of Faulkner’s incredible writing style, which invokes the rambling roots of Mississippi trees, branching and twisting with complicated and long sentences, few commas, and biblically powerful adjectives and verbs that seem pulled straight out of the soil. But the joy of Faulkner does not end there. 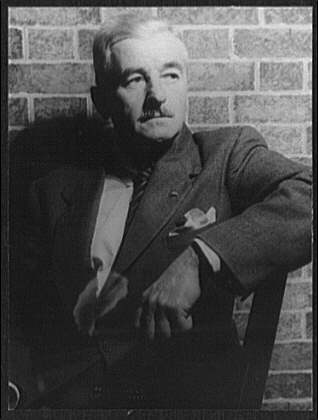 Many have criticized his writing as sloppy stream-of-consciousness tangential prose straying from any direct course, but this is not so, for more meaning is present in one Faulkner story than in most other novels; aside from the symbolism of the divining machine and the fire-and-hearth, there is the question of blood inheritance or legal property, Faulkner’s insistence on the power of nature (through his description of Molly’s hands as “gnarled” like a tree’s would be), the morals of allowing illiterate and unreliable George Wilkins to marry Lucas’s daughter Nat, and many more interwoven dilemmas and motifs and symbols. It’s truly wonderful reading, and I can’t wait to read the rest of the stories; if you think you can put in the effort to decipher Faulkner’s beautiful literature, I can’t recommend this story highly enough.